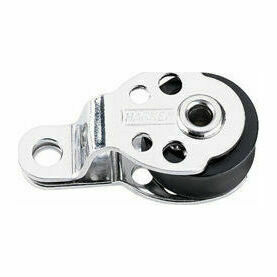 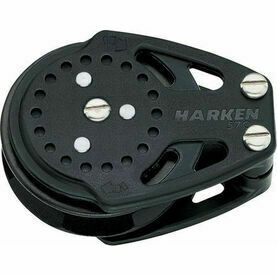 This 57mm Cheek Airbloc from Harken has been innovatively designed to handle very high working loads with a low-friction, compact shape. 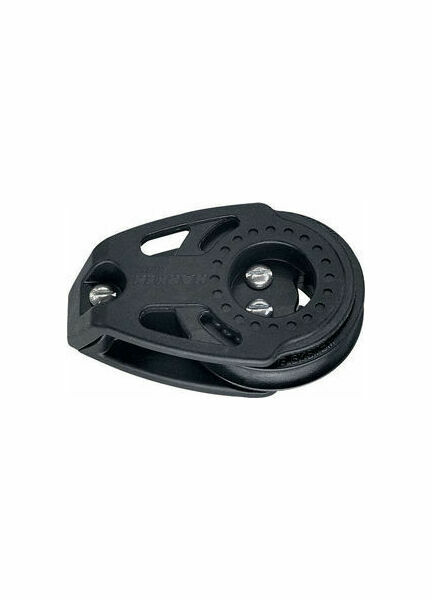 To achieve the lowest possible weight, this boat block has replaced the stainless steel straps of classic blocks with nylon resistant sideplates, which have been then reinforced with densely packed glass fibres. 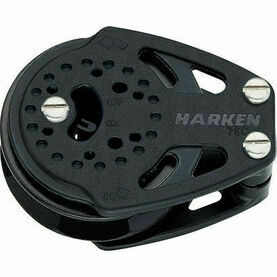 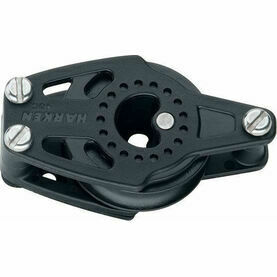 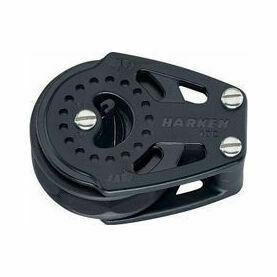 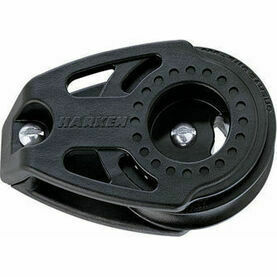 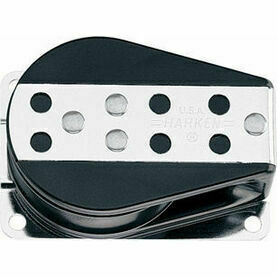 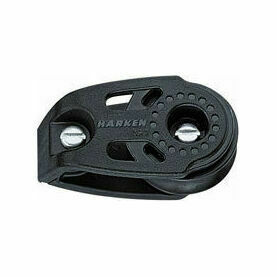 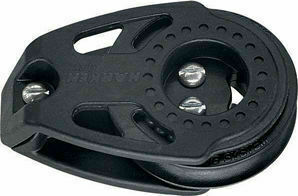 A worthy companion to Harken's popular Black Magic line, this boat block makes trimming safe and easy, and is a reliable choice for all competitive boat racers.